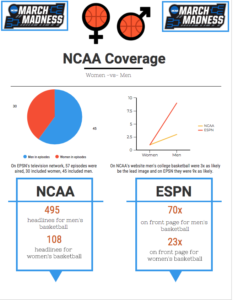 There is not nearly as much coverage of women’s college basketball as there is of men’s college basketball, a recent study has found. 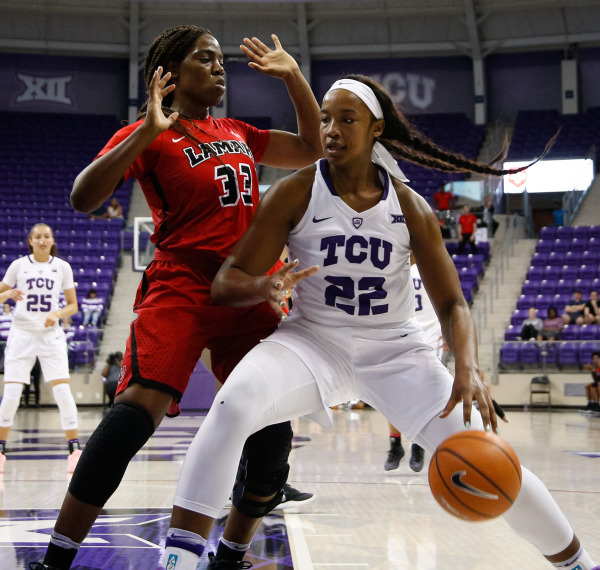 ThinkProgress, the online news website that conducted the study, tracked all of ESPN’s shows during the week of March 27 – April 2, 2017 and discovered 27 of the 57 shows it monitored that week did not mention women’s college basketball even once. 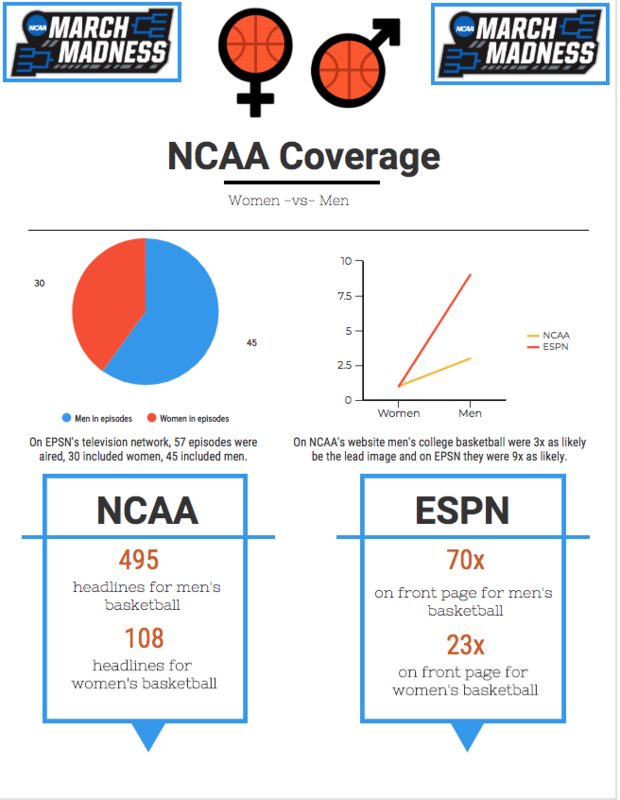 The publisher of the study said NCAA and ESPN were the focus because they are the leading promoters of women’s college basketball and are heavily invested in the sport — the NCAA runs the tournament and ESPN holds the broadcast rights to the women’s tournament..
“We thought we would look at those two because it might not show the starkest numbers,” said Lindsay Gibbs, a ThinkProgress writer and author of the study. “I’m sure we could find other outlets where there is zero coverage of women but we wanted to look at (those) two to see, even when outlets have incentives to really be promoting this … that there is still a discrepancy,” she said. Compounding the problem is that CBS Sports does not have any rights to the women’s basketball tournament.